Morellino di Scansano is a red wine that does not get the recognition it deserves.Often overlooked because of the popularity of other wines based on the Sangiovese grape from Tuscany, Morellino di Scansano is a much better value for the money. The production zone for this wine is the predominantly hilly area around the village of Scansano in the Maremma region of coastal Tuscany between the Ombrone and Albegna Rivers. Altitude ranges from just a few meters above sea level near Grosetto, to 550 meters in the Collecchio zone. The Morellino di Scansano zone covers approximately 65,000 hectares of land in the southwest of the province of Grosseto, the southernmost area of Tuscany. There are about 1,500 hectares of vineyards. 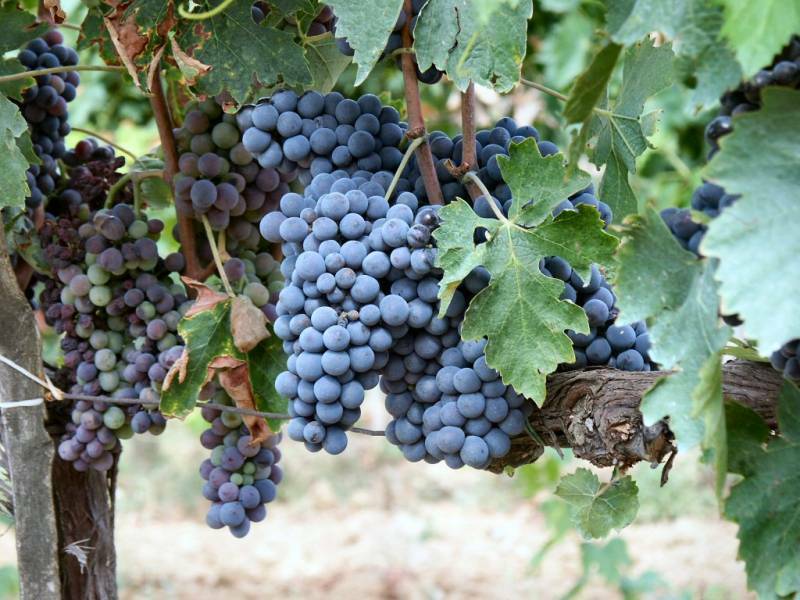 Morellino di Scansano DOCG, including the regular and the Riserva, must be at least 85% Sangiovese and the natural minimum alcohol must be 12% for both. Vinification, aging and bottling must take place within the production zone. Because of the terroir and the location of the vineyards, the wine is softer and rounder than wine from other parts of Tuscany. The characteristics of the wine’s basic type are a ruby red color with fruity notes and light tannins. The regular is a “fresh” wine that can be released on the market in the spring following its harvest. The Riserva must be aged for at least two years, one of which must be in wooden barrels. The Morellino di Scansano Riserva has a deep red color tending towards garnet as the wine ages, a fruity aroma with hints of cherry, red fruit and plums and a touch of spice and vanilla. The taste is dry and full-bodied. Let's Eat Healthy! Let's Eat Apulian! Francesca Montillo, a Very Energetic "Lazy" Italian!